If you’re looking for a relaxing little break then be sure to check out these gorgeous Shepherd Hut Glamping Breaks over at Wowcher. For as little as £79 you can book a hut for up to four people for two nights. 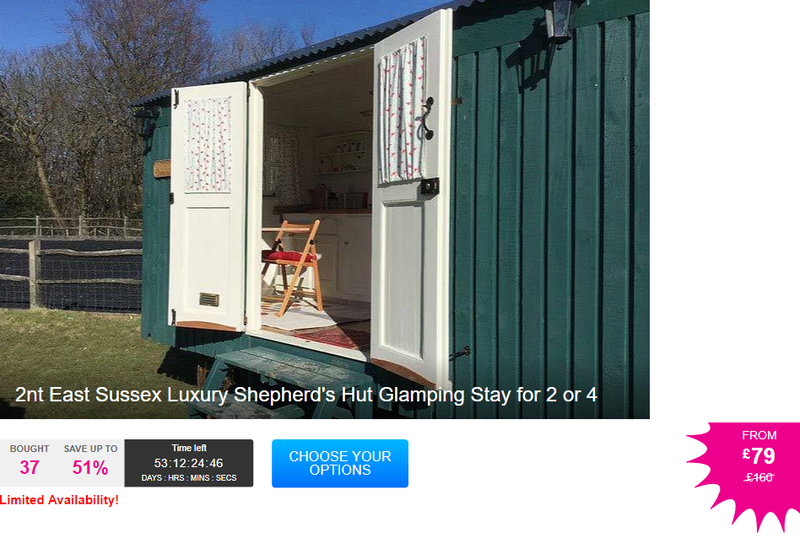 Enjoy a two-night luxury glamping getaway for two or four! Stay at the 200-acre Blue Caps Farm, with gorgeous views and wildlife. 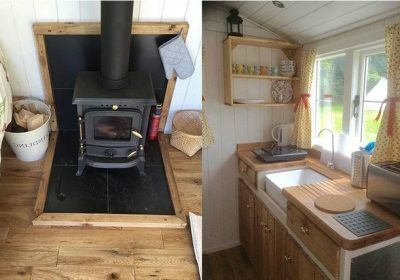 Stay in a shepherd’s hut with a log burner to keep you toasty and warm, kitchen and dining area. Plus, access to an outdoor fire pit and BBQ area with table and chairs. Perfectly located to explore High Weald, and close to Tunbridge Wells. Discover the great outdoors with an extra touch of luxury! We’re offering you a two-night luxury glamping stay for two for £79, or a two-night luxury glamping stay for four from £99, saving you up to 51% off Blue Caps Farm Glamping’s prices. With today’s deal, you’ll be staying at Blue Caps Farm, a 200-acre beautiful farm set in gorgeous High Weald countryside, boasting stunning views, a welcoming atmosphere and an array of animals, including llamas and ponies as well as wild animals such as foxes, deer, buzzards and owls! You’ll be staying in a luxury shepherds hut, specifically designed for a cosy and comfortable stay, with everything you could possibly need for a short break away – cutlery and crockery, a wonderful log burner with some wood (£5 surcharge for additional wood), fully working kitchen, a dining area, a comfy double bed (with an additional adult-sized bunk-bed if choosing the four-person option) and access to an outdoor fire pit and BBQ area! The campsite is also well equipped, with toilets, shower and secure parking. 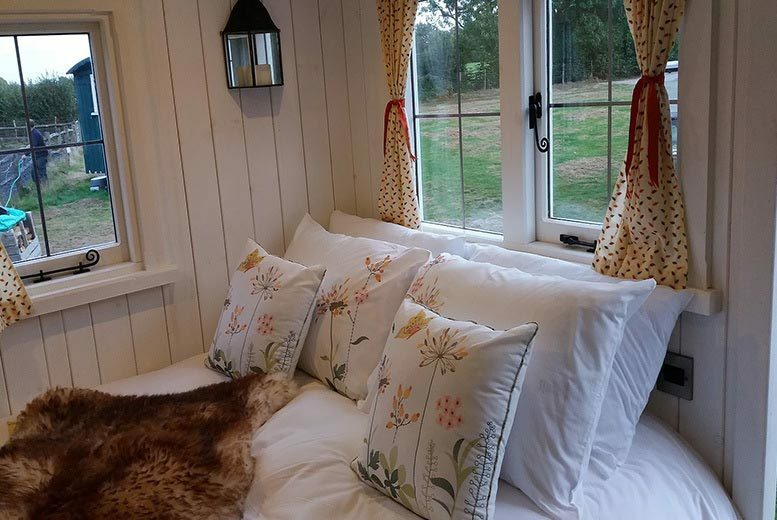 Simply opt for the ‘Poppy’ hut for two people, the ‘Forget Me Not’ hut for four people, or the ‘Sunflower’ hut for four people, which is large enough for an extra travel cot if you’d like to bring one along. If you’re a big fan of a country walk, you’ll find plenty of places to explore around Blue Caps Farm. It’s located in the heart of High Weald, an Area of Outstanding Natural Beauty in south-east England, and an amazing place for a lovely autumn walk. By car it’s also just a 15-minute drive from Royal Tunbridge Wells if you’re up for exploring this charming historic town. Then, retire back to your shepherds hut and enjoy a hot chocolate under the stars, before drifting off into a relaxing night’s sleep. Perfect!